During the winter season, heating units are important to the comfort and happiness of the whole family. Having a broken heater can be a huge financial burden. Performing a few maintenance tips can help you keep a properly functioning heating system. One of the easiest maintenance tips is changing the air filter on a regular basis. A Clogged air filter will not allow airflow, which can damage the heater. This can cause major problems with your heating unit so completing this simple step could save you a lot of money in the end! Keeping your heating unit free of any outside debris is very important. Whether you choose to hire a landscaping service or complete the work on your own, it is vital to remember that all debris needs to be at least 3 feet away from the unit. Cleaning the unit on a regular basis and ensuring that it is free from dirt and debris will allow the unit to work properly and efficiently for a longer period. Removing any furniture, drapes, or other objects that block the unit can prevent a potential fire hazard and ensure that the unit will continue to function properly and efficiently. Precision Air & Heating suggests that an inspection of the heating unit occur regularly. Having this completed by a professional can ensure that all mechanisms for the unit are working properly. Good maintenance is the key to prolonging the life of your heating unit. Yearly maintenance will ensure that your family feels comfortable in your home all winter long. At Precision Air & Heating, a professional can complete a 35-point diagnostic evaluation and confirm that your unit is working to the best of its ability. 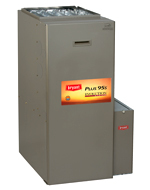 Regularly maintaining the unit lowers energy costs and prolongs the life of the heater. Please call a professional at Precision Air & Heating, if you have any questions or concerns in regards to your heating system. Make the Precision decision today! Preventative Air Conditioning Maintenance Is A Must! 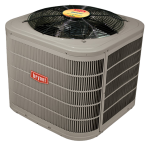 We want to help you learn about about all things air conditioning and heating! Have any questions or want to see us write about something? Give us a call, chat, or email and we'll do our best to help you out. 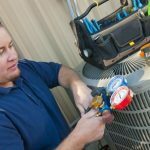 What Does it Take to Become an HVAC Tech?